As a business entity, there will be a point in your operations where you will be required to create and develop reports. There may also be instances where you can find the usage of reports very useful even if it is not requested by the management or any external entity. One of the reports that can be beneficial to your operations and overall business management is a weekly report. 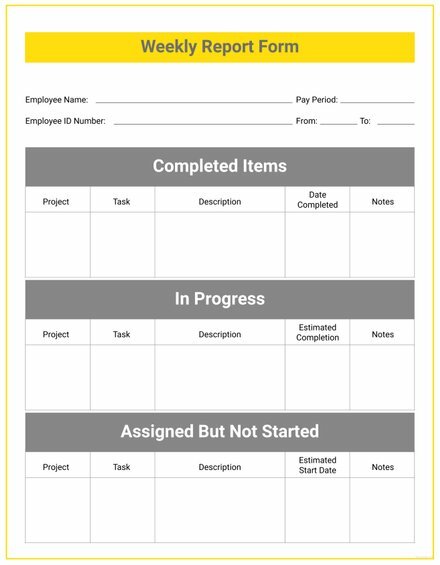 Try to create this particular report document with the help of the templates and examples available in this post. A weekly report can be created accordingly and appropriately if you will first list the steps that you need to implement then understand how these steps can affect the outcome of the undertaking. 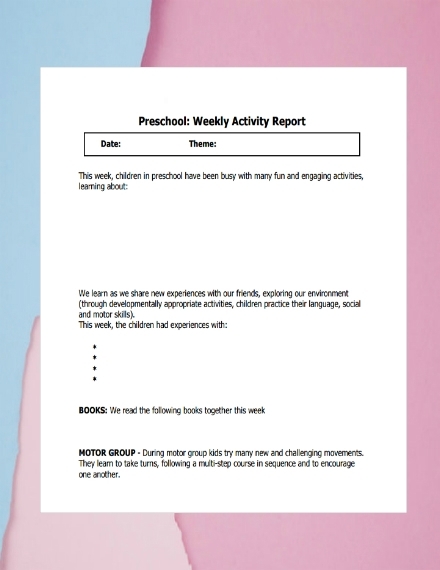 Being well-guided during the development of a weekly report can help you give more focus to the essential information that must be seen in the particular document. A simple procedure that you can follow to create an effective weekly report is listed below. Identify the reason on why you need to create a weekly report. Develop an outline that will allow you to know the information that are necessary to be seen in the report. 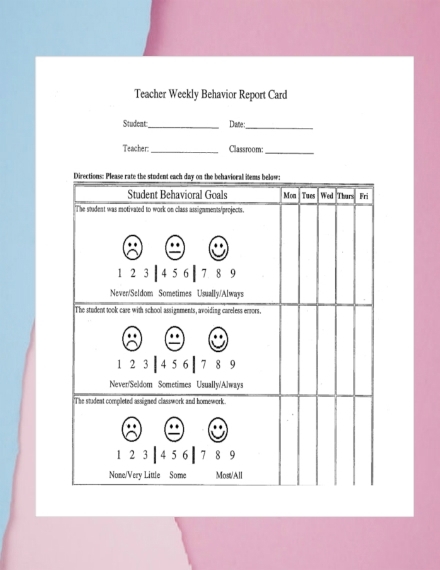 Format the weekly report with the help of templates and other references. List down the days of the week and the items that have been accomplished and those that are still needed to be done. Once you have already written the status of your call-to-actions and placed them on particular days within the week time frame, you can already write down your conclusions, observations, recommendations, and plans of action. Whether it is a weekly project status report or any kinds of weekly reports that you are making, ensure that you will review the document before using it in actual activities or undertakings. Browse through several reports examples and templates and make sure that you will observe how certain content are formatted and presented. 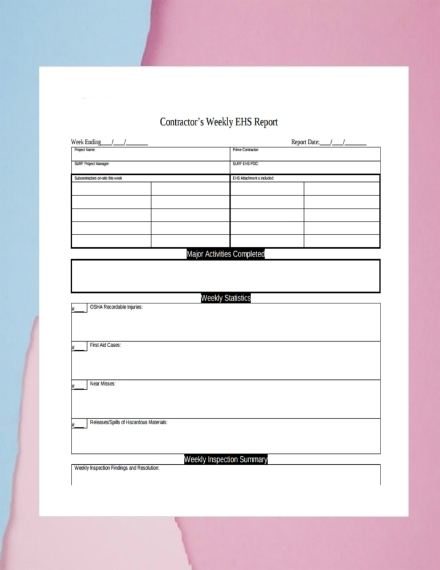 It is essential for you to come up with a document layout that can make the discussion within your weekly report understandable, presentable, and highly organized. Do not put any unnecessary information or irrelevant content in the weekly report. As much as possible, limit your discussion based on the items that have been done on the specific week where the report is for. More so, allow your weekly report to be as brief, concise, and precise as possible. Make sure that the document is comprehensive. 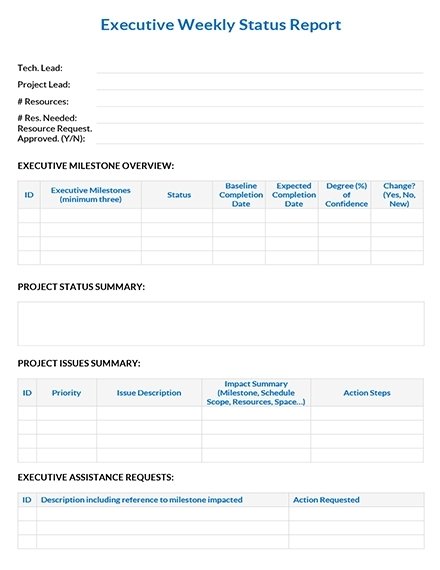 Include all activities, workforce requirements, responsibility designation, resource allocation, action plans, and other important items in the weekly report so you can ensure that your presentation is complete and highly usable. You may also see marketing report examples. 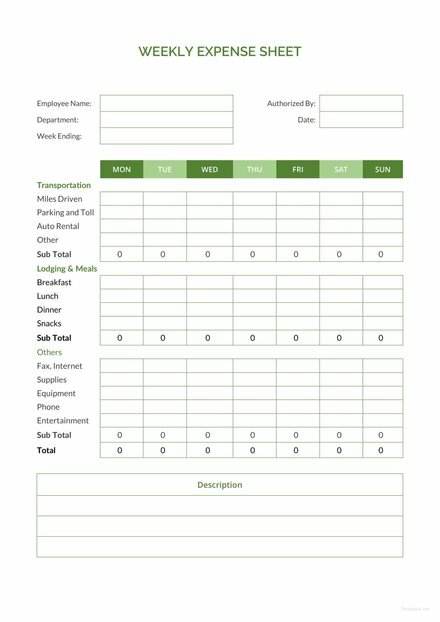 A weekly activity report is used to provide an idea about the activities that have already been done within a department or a division. 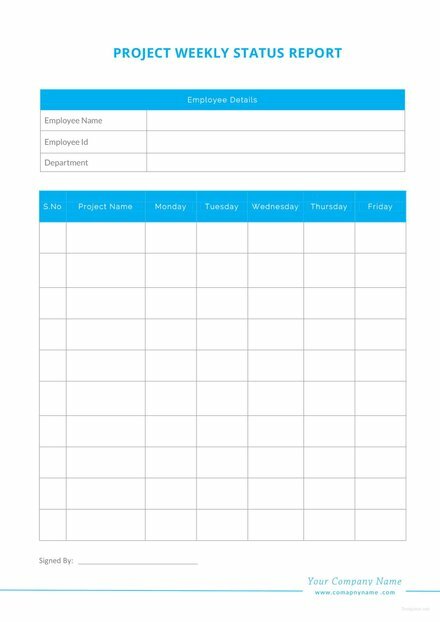 There are also some weekly activity reports that are used in projects and special programs. 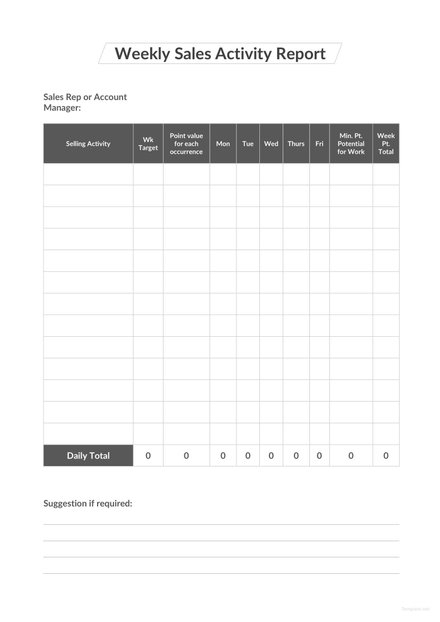 A weekly sales report is a necessary document used by the sales team to monitor the development of the business’ sales conditions. Weekly sales reports provide details about the current quota percentage achieved by the team as well as the activities that have been done to gather more leads, close deals, and address different sales transaction concerns within a particular week’s time. A weekly maintenance and monitoring report is used by businesses to ensure that the requirements of their operations are supplied and provided accordingly especially when it comes to the quality of the equipment and materials used for operational processes. Having a weekly maintenance and monitoring report at hand can make it easier for businesses to look into the conditions of their assets and resources. Is it necessary to still create a weekly report even if you will also make a monthly report? Weekly reports are shorter than monthly reports for a reason. 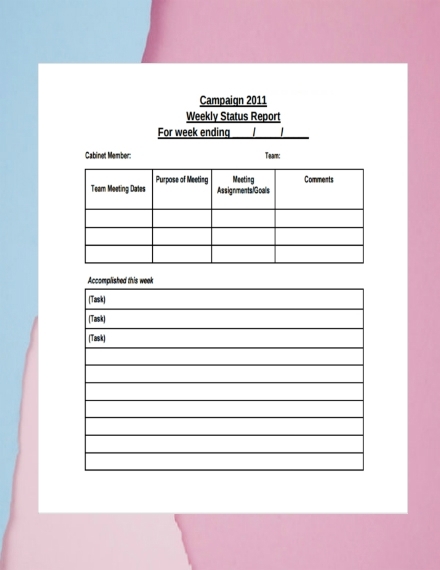 Weekly reports can be used for processes and activities with short-term objectives. On the other hand, the compilation of weekly reports can also contribute to the easy development of monthly reports or even quarterly and annual reports. 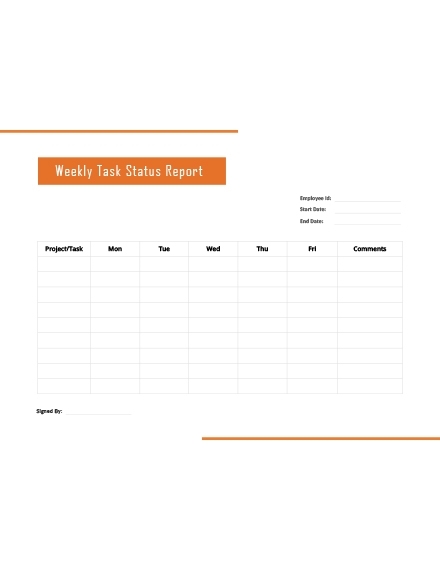 As an example, having consecutive weekly status reports can already give you an idea of the items that you can include and put together for your monthly report. 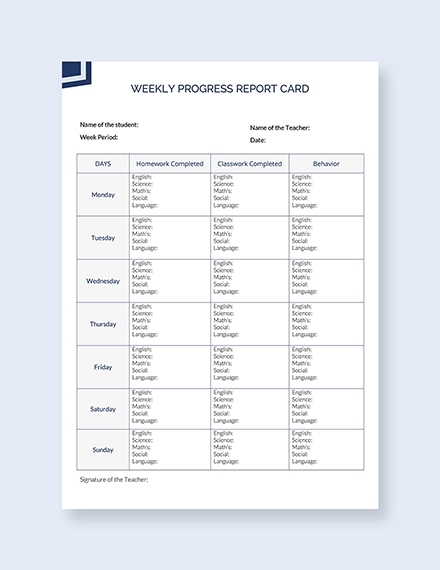 Weekly reports help you ensure that all the details of your monthly report are aligned with the combination of all weekly results within a given month. This can lessen the possibilities of report inconsistencies or the inability to provide a complete, credible, and relevant discussion. 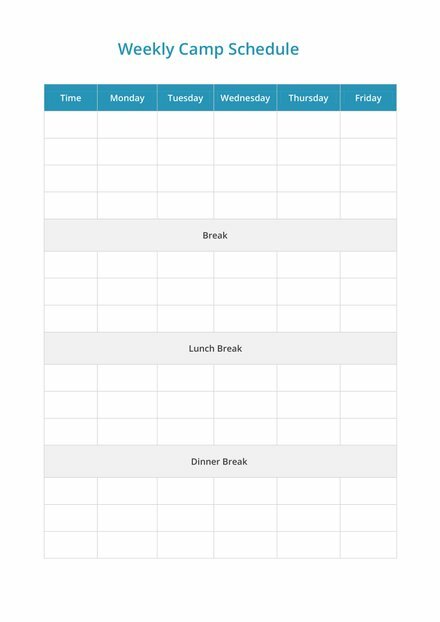 How can you maximize the usage of a weekly report? 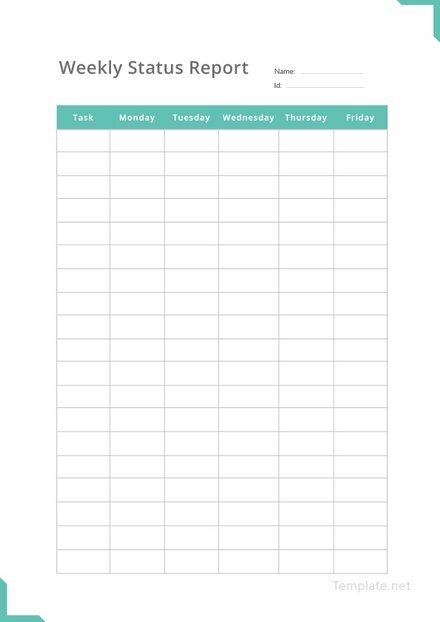 Have a general purpose for the weekly report and ensure that you will incorporate all the necessary functions of your workforce toward the achievement of your weekly goals. 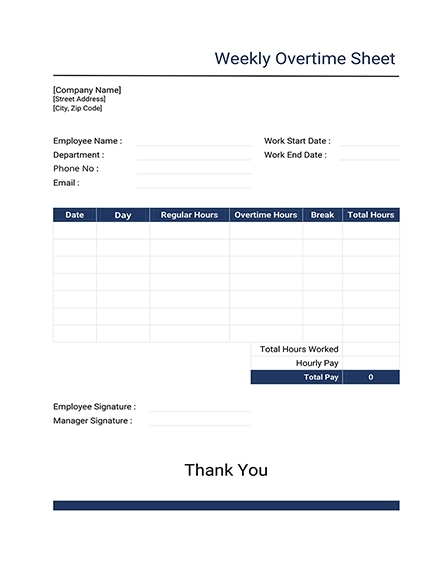 Ensure that the weekly report is well-formatted so you can organize the content of the document accordingly. This can help you become more in-depth with how you will look into the items listed in the document. Are you planning to create a strategic analysis report? Or maybe a weekly project update report? No matter what type of weekly report it is that you would like to create, do not forget to utilize the usage of our examples and templates as you can get a lot of information and formatting guides if you will closely look into each of them. 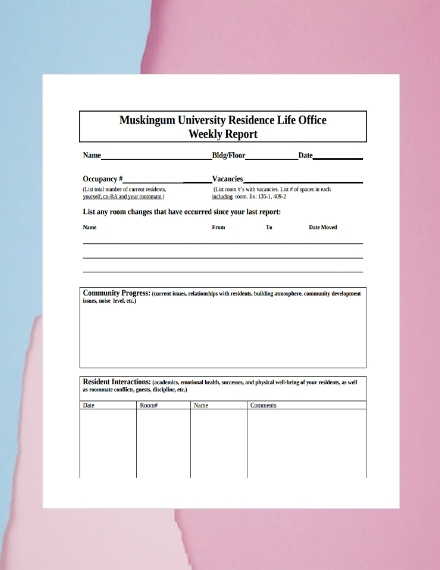 Download these references now and begin the creation of your own weekly report.